There’s never a bad time to give your LinkedIn some love. With over 500 million users, the pressure is on to maintain the best profile you can. If you’re looking to do more than simply add a new skill and update your status, consider implementing these easy changes to your LinkedIn life. So, you met a lot of great professionals at a networking event last night. Now what? Add them on LinkedIn, of course! One of the best ways to keep your LinkedIn fresh is to constantly be making connections. But, do you really think you’ll catch their attention with the default “I’d like to add you to my professional network on LinkedIn” message? Pick up where you left off at the networking event by attaching a personalized message regarding a topic you talked about together while sending your connection request. The extra effort will impress them and prove how serious you are about networking. After working hard to secure your great network of professionals, you don’t want to risk losing their contact. Make sure you’re keeping track of their information by exporting your connections. Getting a CSV file of everyone in your network is like having a virtual databank of important business card information. You will receive a spreadsheet with names, emails, job titles, and companies. To access this feature, start under the “Privacy” tab and scroll to “How LinkedIn Uses Your Data.” Then, select “Download Your Data.” Lastly, you will select “Connections” and enjoy your new data downloaded. 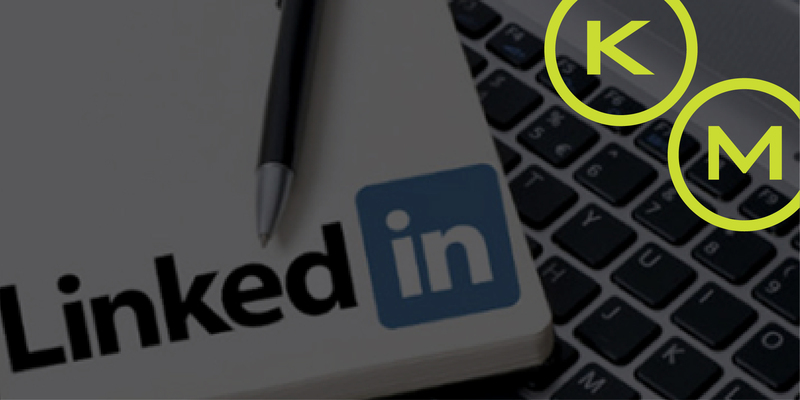 Use your LinkedIn to connect potential employers to other aspects of your life. There’s only so much of yourself you can showcase on this platform because the template is relatively the same for every other person on LinkedIn. Sure, you can customize your profile picture, header, and the text. But, linking your connections to your a personalized platform is one way to truly show your individuality. Link your blog or website by viewing your profile, clicking “Contact Info” then “Edit.” Then, you will be prompted to add a website and you can link your website’s URL in the space given. While you’re working on perfecting your LinkedIn, make sure to stop by KellyMitchell’s profile to learn more about our company and job openings!